Usingadvanced nanotechnology,in a process unique to us, weproduce strong, lightweight and incredibly detailed nanocrystalline metal "electroforms" for customers ranging from designers and model makers to aerospace engineers and artists. We have refined the process of metalising, building on years of experience to transform a 'traditional' process into a true 21st Century nanotechnology manufacturing solution. Our process enables us to literally grow, in nano crystalline metal, "electroforms" that are remarkable strong and lightweight, with exceptional thermal and electrical conducting properties. 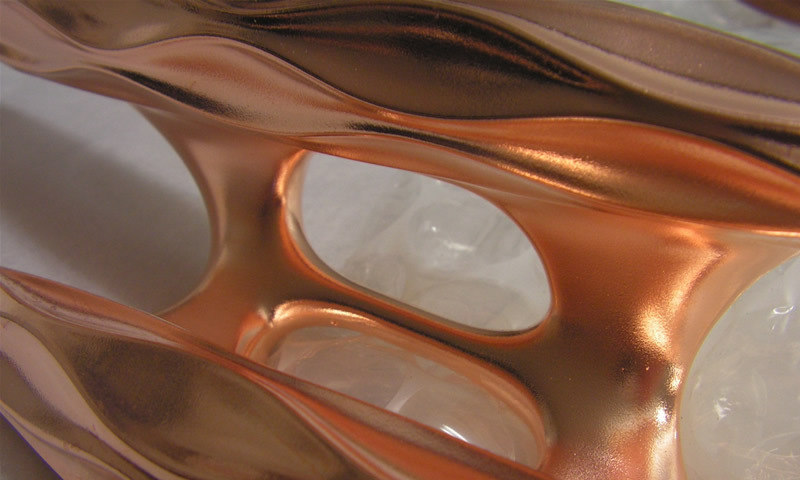 The virtually limitless applications of these properties are ideal for a huge range of emerging nanotechnology and established manufacturing processes ~ from coating for rapid manufacturing and prototyping products to components for aerospace engineering and unique creations for artists!. This break through process is being used by companies such as BAE, Bentley Motors, Gillette, Formula 1 Racing Teams and internationally recognised artists such as Lionel Dean and Antony Gormley.